Stampin' UP! Ultimate Bundle of Savings! Hello, and happy Sunday! 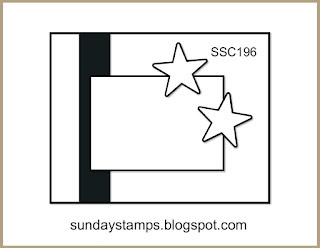 Today, we have a new challenge for you to play along with at Sunday Stamps! Here's what I made using the awesome/must have Butterfly Gala Bundle. Have I convinced you that you NEED this bundle, yet? 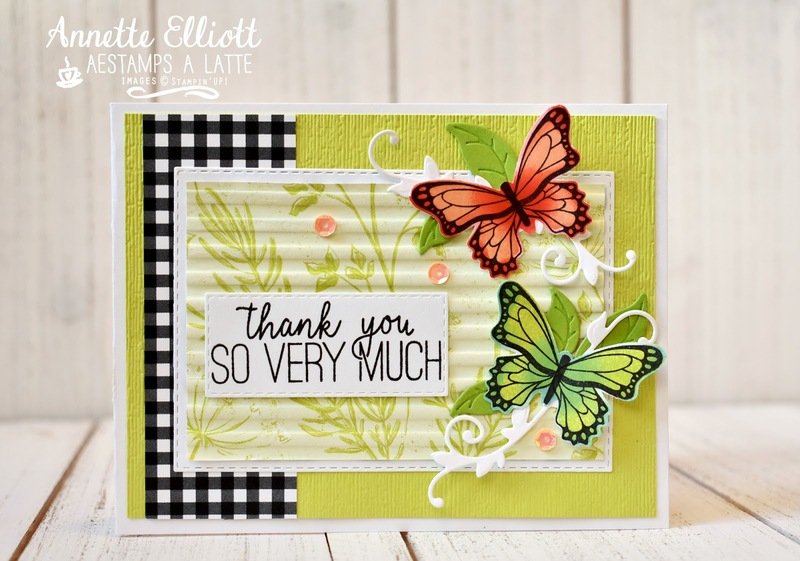 And why not choose the FREE Sale-a-bration Botanical Butterfly DSP which coordinates with this stamp set? How cool is to be able to punch out beautiful butterfly images that are ready to rock and roll?! 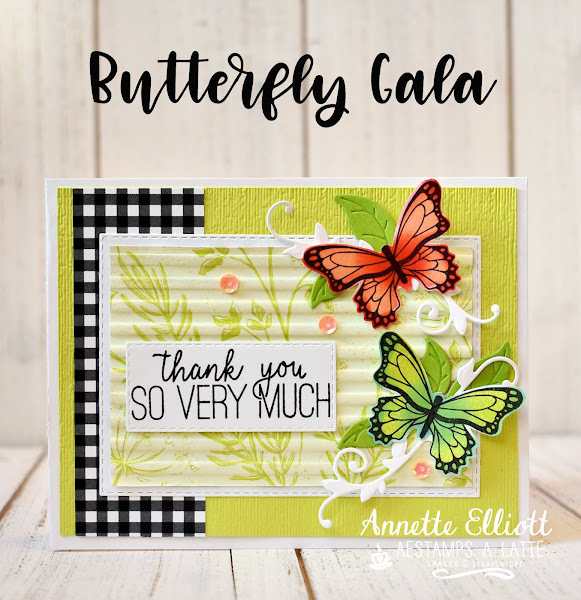 For this card, I chose to use the life like butterfly image and stamped the outline image using Basic Black ink onto a piece of Whisper white cardstock followed by stamping one in Grapefruit Grove ink and the other in Lemon Lime Twist ink. Next, I sponged in Pumpkin Pie and Bermuda Bay in the center and edges of each butterfly before punching it out. This card follows the new sketch challenge at Sunday Stamps! To play along with this weeks sketch challenge, submit your creation by Friday, January 25, 2019. There are so many new thinlits that have greenery die cut images and they all seem to work perfectly with this stamp set. Here I used the Butterfly Beauty Thinlits and leaves from the Wonderful Floral Framelits. This is my personal blog and the use and content are not endorsed by Stampin' UP!